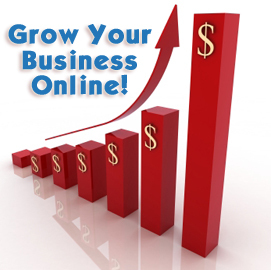 If you are considering starting an online business soon, there are tools you need to invest in so as to succeed. In the upcoming posts, I will be revealing to you the skill-sets and mindsets you need to have. If you are ready to know the tool-sets, read on. You may have heard it before, but until you get your own website or blog, you will not have very much success with your internet marketing efforts. The number one reason you need to get your own website/blog is so you can brand yourself. Branding allows you to become known around the internet. It gives you a unique personality on the internet and sets you apart from the millions of others out there. Another reason you need a website of your own is so you can control the content. 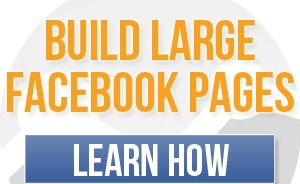 When you start to run your blog you want to be able to advertise products on it. Many of the free blog solutions do not allow you to do any sort of advertising. There have been many marketers who have lost their blogs on a free blog site due to violation of the advertising policies. If you own your web site, within the terms of the hosting company, you can control the content on that site. I host my websites/blogs with Web4Africa. They provide great hosting plans with unlimited emails, mysql databases, and so much more for a low monthly price. Also, I provide services that helps people get their own website/blog. You too can make use of the services. It won’t cost you that much but if you really want to start an internet business, you need to request for a free quote of my website/blog setup services. “The money is in the list!” You’ve probably heard it a million times. If you don’t have an autoresponder behind your website/blog, you will not be able to build and maintain a following or customers of any significant size. An autoresponder is basically a service that will allow you to send email to your subscribers on a scheduled or on-demand basis. A good autoresponder service will allow you to create a series of emails to start sending your subscribers immediately. This is useful to create an e-course or to set up a series of emails that will allow you to automatically sell your own products or affiliate products over time. You should also be able to send out a broadcast email on-demand to your list using your autoresponder service. The number one reason to use an autoresponder is that it allows you to build a relationship with your subscribers. Now, when I first heard that I had to have a product of my own, my first thought was, “There is no way I can create a product.” If you’re just starting out, I’m sure you probably feel the same way. However, you don’t have to create a product from scratch. There are two types of products you can use so you don’t have to create your own product. The first is Private Label Rights(PLR). This is a product that someone else creates from scratch, and sells you the rights to modify it and call it your own. PLR gives you the opportunity to create a unique product without having to come up with it yourself. However, if used incorrectly you can get yourself into a lot of trouble. The other type of product is a product that you can rebrand. Rebrandable products are created by someone else but they allow you to change the links to their recommended resources to your own affiliate links. Usually when you purchase the rebranding rights you are given a rebranding package which usually includes a rebranding software that allows you to put your affiliate ids into the product. A new type of rebranding is online rebranding where you don’t actually receive a rebranding software, but you put your links into a page online then are allowed to download the product already rebranded. Also, if you see a need that you can meet and a large number of people who needs what you have to offer then you can create your own product. To recap, you need 3 tools in order to start your Internet business down the path to success. 1 – A web site so you can control the content. 2 – An autoresponder so you can follow up with your prospects. 3 – A product that you can give away to entice people to join your list.